A Westerville man indicted by a Seneca County grand jury in connection to a car being struck by a bullet in Tiffin pleaded guilty to two charges and was sentenced to nearly five years in prison during a hearing in Seneca County Common Pleas Court Judge Steve Shuff’s courtroom Tuesday. John R. Moyler, 25, had been charged with two counts of complicity to attempted murder, both first-degree felonies, and two counts of complicity to felonious assault, both second-degree felonies, according to court records. A court spokeswoman said Moyler pleaded guilty to charges of complicity to felonious assault, a second-degree felony, and complicity to aggravated assault, a fourth-degree felony. The gun specification was dropped, and two counts of complicity to attempted murder, both first-degree felonies, were dismissed. The court spokeswoman said Moyler was sentenced to four years and 11 months in prison. 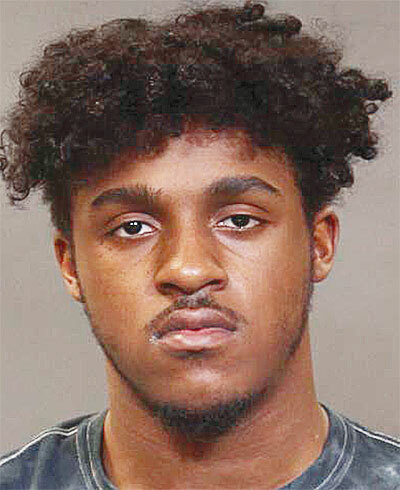 About 6 p.m. March 27, Dylan R. Descant and Michael A. Mason went to Tiffin Police Department to report being shot at and said they were leaving their St. Clair Street home about 5:30 p.m., a release states. They noticed a dark gray Hyundai following them closely as they crossed the Perry Street bridge. The vehicle following the men pulled in front of them, blocking their vehicle, at Beechwood and Westwood drives, the release states.